The Barrington School District Board of Education will “discuss certain items involving personnel, specifically for middle school principal candidate” during tonight’s special action meeting, according to the agenda it released. The meeting is scheduled to begin at 6:30 p.m. today. There will be a period for public comment at the beginning of the meeting, but the board’s discussion of a candidate or candidates will take place in executive session. The board may return to open session after the executive session to conduct business. The district posted the principal job opening in June and sought resumes before July 11. 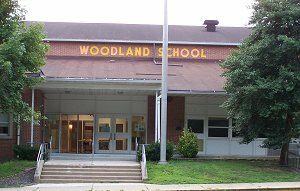 Renee Gonnella-Kenelia, the district’s director of Special Education, served as interim principal at Woodland since late May after former Principal Mort Argoe resigned. Check back tomorrow for full coverage of the meeting. This entry was posted on August 9, 2012 by Barrington Bulletin in Schools and tagged agenda, board of education, school board, special action meeting.